A curious phenomenon can be found on Linkedin. Accumulate a few followers and publish some content and you will begin to receive a consistent flow of connection requests and offers of services from Linkedin Marketers. What’s curious about the phenomenon is how badly these Linkedin Marketers market their services on Linkedin. I don’t have a problem with marketing or networking. I have worked as a marketer and done well marketing can drive rapid growth in relationships and real business value. There is value in getting consulting help to maximise the new opportunities and value of social relationships in business. That is one part of what I do for a living. I know some excellent consultants who deliver real value for people looking to get the most out of Linkedin. My friend Samantha Bell is excellent and she has written a very useful book on how to get the most out of your profile. Helen Blunden has provided great advice, coaching, and workshops for people looking to more effectively leverage Linkedin. However, there are people roaming the platform whose approach is giving Linkedin and Linkedin Marketing a bad name. These Linkedin marketers do themselves a disservice with the laziness and the ineffectiveness of their approach. Before you hire anyone to help you with marketing in Linkedin, consider how well they market themselves on the same platform. The volume of poor approaches also impacts users view of the platform as well. Linkedin’s standard connection message even has its own meme as a generic New Yorker cartoon caption. Research: The greatest value of Linkedin is as a platform for research. Great marketing begins with a depth of understanding of your target customer. Want to learn more about someone or some organisation? LinkedIn offers a fantastic way to explore people, roles, relationships and information relating to that individual and organisation. Have any of the Linkedin Marketers demonstrated their research in their approach to me? No. Not one. They are clearly not leveraging the research potential of their Premium memberships. Relationships: Linkedin is a map of business relationships. The goal of Linked is to map the business graph of relationships. Start on the platform by using and building on relationships. I read my connection requests and I research them. However many with no prior relationship and no explanation, I simply ignore. Too many of the approaches from Linkedin marketers simply sent me the generic message. Not one of the Linkedin marketers has used a relationship referral to connect with me or sought to demonstrate the credibility of their offering by highlighting an endorsement by one of their relationships. Relationships are more than connections. Having a connection with similar people or being members of the same Linkedin group doesn’t count. Show me relationships with whom you have done business. Because I research approaches I receive, if our shared relationships are the people who accept every request, then it gives me a good clue that you don’t know them. Relevance: Effective marketing depends on relevance. Relevance is the price of attention. “Connect with me so that I can help grow your business” is an improvement on the standard Linkedin connection message. However, you haven’t shown any specific relevance to my current needs. If you don’t even mention a recent action that triggered your interest, you are simply playing a numbers game. Research is the foundation of relevance. You need to go back and do the research. Response: Linkedin is a low engagement platform. It is easy to passively consume on this platform. To get people to take action, you are going to have to engage them with a relevant message at the right time and with a compelling offer to act now. Adding numbers to your Linkedin connections may contribute to opportunities to hunt for clients, but it doesn’t drive the bottom line. Include a compelling call to action. Experiment and learn from different calls to action. Resilience: New relationships don’t happen immediately. Cold calling new relationships takes time and resilience. How many of the Linkedin marketers have ever come back after their first offer was ignored? None. The only second approach I have received is from one Linkedin marketer to whom I explained that I was declining their offer of connection because of a lack of need. Of course, the follow-up was equally generic, made no reference to our previous conversation and learned nothing from it. If you are not a Linkedin Marketer, these suggestions will help you be more effective on the platform too. And a word of advice to all the Linkedin Marketers who read this post and see it as an opportunity to send me a connection request: I will be using this post to judge the quality of your research. 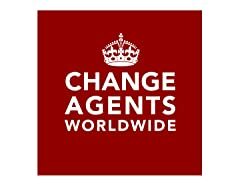 Simon Terry provides consulting, advice, speaking and thought leadership to global clients through his own consulting practice, and as a Charter Member of Change Agents Worldwide, a network of progressive and passionate professionals, specializing in Future of Work technologies and practices. The focus of Simon’s practice is assisting organizations to transform innovation, collaboration, learning and leadership. By simongterry in Future of Work on 08/02/2017 .